NOTE: Jackrabbits Dryland is for participants 8 to 10 years of age with previous participation in Jackrabbits Level 2 or higher OR Jackrabbits Learns to Ski and recommendation for Level 3. *NEW* Youth ages 9 to 12 registering for cross country ski programs have the option to also register for a Biathlon Bears ADD-ON Mondays from 6:30 to 8:00 pm. Please contact the Jackrabbits Manager at [email protected] if you have any questions about registration. Learn2Ski (ages 8 to 10) – For kids new to Jackrabbits and formal ski lessons. ** For Levels 3 and 4, participants must have done the previous level and have coach recommendations. Winter Session (On-Snow): The winter Jackrabbits programs aim for 12 coached sessions of 1.5 hours. We are looking at ways to ensure the full sessions are offered including possible weekend and makeup sessions. More information will be shared at the Parent Information Session prior to the program start. Note: Foothills Nordic Ski Club reserves the right to cancel any group session that has insufficient registrants. Minimum class size is normally five participants. If a session is cancelled, participants will be given the opportunity to register for another session or receive a FULL refund. Winter Session (On-Snow): Jackrabbits will acquire basic ski skills while developing agility, balance, coordination and speed with an emphasis on FUN and participation! The essential goal of Jackrabbits is to provide children with FUNdamental physical and cross-country ski skills, as a foundation to participate in SPORT-FOR-LIFE. Jackrabbits will develop cross-country skills through a progressive skill program through five levels (JR 1 – 4 and JR+), following the Foothills Nordic Skill Matrix (see JR Forum for details on the Skill Matrix). Classic technique is taught in all levels and skate technique is introduced in Levels 3 and 4. The Jackrabbits Learn to Ski program is an age appropriate program for children 8 to 10 years old who are new to cross country skiing. Group sizes are limited to 10. Placement is based on previous Jackrabbit level and current ski skills. Our leaders are all NCCP-trained (Community Coach) and many are former Jackrabbits. Additional activities include Terrain Park FUN Nights and Family Ski Days (Saturday or Sunday in Bragg Creek or Kananaskis). See the calendar for more information. Jackrabbits are encouraged to be on skis as much as possible outside of the Jackrabbit program (as simple as ski time in the school field with friends). Participants must have appropriate ski equipment and winter clothing. Please see the equipment and clothing information for details. Foothills Nordic is able to run high quality programs for reasonable cost, due to the volunteer support of our families. ALL Jackrabbit parents will be required to signup to assist with minimum two (2) program activities / three (3) for families with 2 or more children in program (weeknight coach support for Bunnies/Group Monitoring for Jackrabbits, parking or snow grooming support). 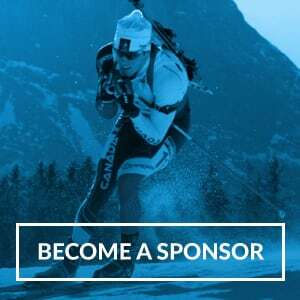 We also require volunteer support for weekend events – Terrain Nights, Family Ski Days, Cookie Race. A full sign-up list with details on volunteer jobs, will be available and communicated before the first on-snow sessions. We also welcome keen parents with strong basic ski skills to become coaches, as well as session managers – please note on your registration or contact the Jackrabbit Coach / Leader Coordinator.